After artist Donald Judd moved to Marfa, Texas in 1971, he quickly transformed the cow-town into the art world’s desert outpost, much to the chagrin of some locals. Now, the gentrifying city’s rising property values and mushrooming taxes are threatening to push out long-time residents altogether, according to an eye-opening article by John MacCormack published last month in the San Antonio Express-News. Unhappy residents are protesting after a reappraisal of Presidio County properties found their values have doubled in the past year to $1.14 billion, from $563 million in 2013. “A couple of the rich types moved in and paid an arm and a leg for a lot, and then resold it for more, so now the people who live out here find themselves saddled with these escalating valuations,” retired county employee Marge Hughes told the newspaper. Move to Marfa today and you can purchase a five-bedroom home that Judd once owned for $735,000; though cheaper than a New York brownstone, it’s astronomical by West Texas standards. Several homes in Marfa are priced above $350,000, and many more are in the $200,000 range, according to the newspaper. That’s significantly higher than the $22,000 that Hughes paid for her house 14 years ago; it’s now worth $120,290. From the Soho and Williamsburg neighborhoods in New York to Santa Fe in New Mexico, artists have frequently upset existing social fabrics in their quest for cheap rent. 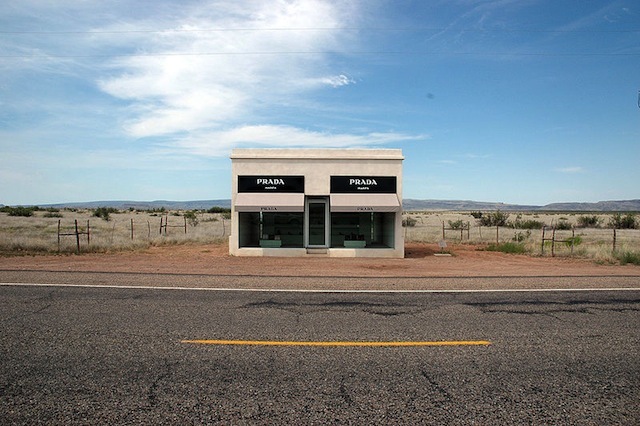 Though Marfa’s art renaissance has drawn much outside investment, transforming it from “just a dying, little West Texas cow town” — as a retired U.S. Border Patrol agent told the newspaper — to one of the state’s hottest destinations, it has sidelined many with deeper Marfa roots. After watching their town reinvent itself, they may now also have to reinvent their own lives. That hurts artists, too. Instead of living in a diverse, challenging community that might inspire them in new ways, they settle into an echo chamber.